In the last article, we covered three common myths about youth strength training that can make parents hesitant to introduce their child to strength training. In this article, we’ll discuss how to create a fun, positive and productive training environment to bring young athletes into the weight room. A better question to ask is, “how do we modify ‘training’ to be more suitable for any age of athlete?” For youths, “practice” shouldn’t really be practice and “training” shouldn’t really be training. In today’s rush of early specialization, high school freshman pre-committing to colleges and intensely competitive youth sports, the idea of “play” is often forgotten entirely. 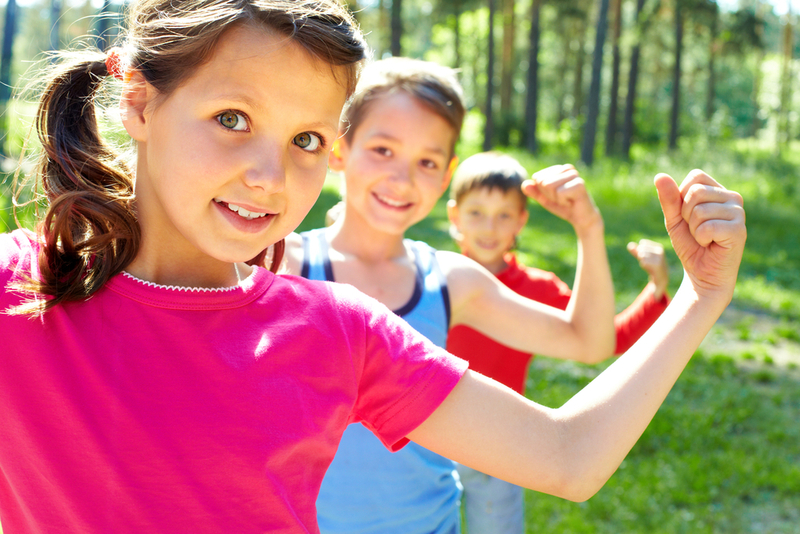 Strength training can be a great opportunity for youths to play in a different way. Creating this environment is the key to creating a long-term sustainable habit that will last them through whatever playing career they choose. In addition to a positive environment with an emphasis on fun, the most important element of youth strength training is quality instruction of basic movements with dedication to mastering those movements. With excellent instruction and coaching, young athletes can use sports training to improve their motor control and coordination, develop better movement mechanics to improve sport performance, decrease injury risk and build lifelong habits of mental focus and physical discipline. About 10-15 minutes of general warmup with some cardiovascular activity and dynamic stretching. Agility ladder, cone drills, dot drills and jump roping are great for building basic coordination and getting their heart rate up, core temperature elevated and muscles ready to work to decrease risk of injury and improve movement quality. 4-8 sets of 1-3 reps on a basic plyometric exercise. A box jump, vertical jump, broad jump or medicine ball exercise encourages them to let loose, tap into their power and build basic athletic coordination. Everyone loves to jump high, throw far and slam medicine balls! 3-5 sets of 5-10 reps superset (2 exercise performed back-to-back) of basic strength exercises. This starts with bodyweight exercises and progresses very slowly to weighted lifts. The pushup, bodyweight squat, pull-up and inverted bodyweight row are great starting points that don’t require any extra load to be challenging. Once athletes have mastered these skills, move on to squats, weighted pushups or deadlifts. 10 minutes of challenging unilateral or odd-object exercises. This can vary wildly depending on equipment and space availability, including: alternating or uneven dumbbell presses, lunges or single-leg squats and jumps. Or, for a real favorite, try the slosh pipe. These exercises help develop muscular balance and total body coordination. Plus, they’re a lot of fun. Lastly, we do ten minutes of a game or race. Kids love to compete, finishing a session with a high energy, low stakes competition is a great way to keep things fun. We’d play four square, tennis or handball with a light medicine ball, set up a relay race or do a basic medley. Medleys are common competitive events in my sport, Strongman, and consist of any three to four objectives completed with the best time or most reps. For example: dumbbell farmers walk from point A to B, pick up a sandbag to shoulder five times, carry it back to point A, then sprint back to point B. As you can see, very little of this session is actually just lifting weights. The worst thing you can do with a young athlete is hand them a piece of paper with a bunch of “three sets of 10 on each machine” kind of lifts. Plyometrics, bodyweight exercises, free weights, odd objects and MOVING are much more fun ways of developing all-around athleticism and coordination. This will keep kids coming back for more without the risk of injury. Will Ruth is a high school lacrosse, college men’s rowing, and strength and conditioning coach. He holds certifications in strength and conditioning, a BS in kinesiology with an emphasis in sport psychology, and is pursuing an MA in Sport Coaching degree from the University of Denver. Will is a former rower and lacrosse player and currently competes in the sport of strongman. More of Will’s written work, podcasts, and strength and conditioning resources can be found on his website, www.strengthcoachwill.com.